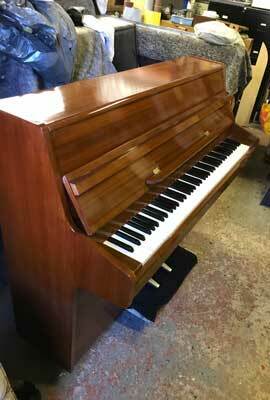 RENTAL PIANOS AVAILABLE from £20 per month. Price includes moving and tuning. ALL PIANOS COME WITH A TWELVE MONTH GUARANTEE AND FREE TUNING. 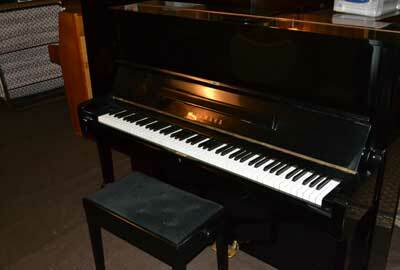 1 - Black Polyester Upright Yamaha U3 Piano. Plays well at concert pitch. This is the three pedal model and probably the best Yamaha has ever produced, especially with the longer bass strings. Price £3,000 inludes free delivery within a 50 mile radius. 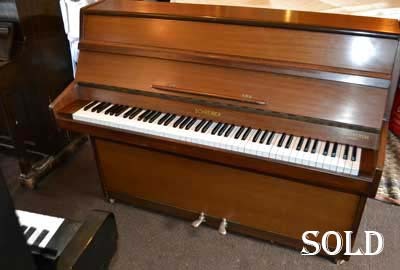 2 -Reid Sohn Piano In Bright Mahogany Case. 3 - Small Barratt and Robinson (Newly Polished) Upright. 4 - Bechstein Upright. Model 10 Rosewood Case. 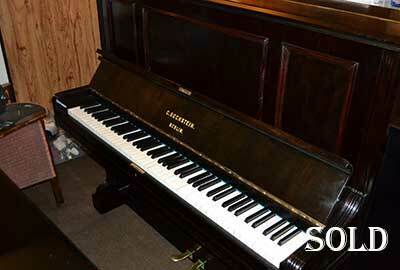 5 - Five Foot Chappell Baby Grand In A Rosewood Case. Will be available for sale shortly. This piano is being totally re-strung with an action/key overhaul and a complete French polishing. Gloss black Yamaha U2 upright (three pedal model) £3,200. Suit serious student or hire. 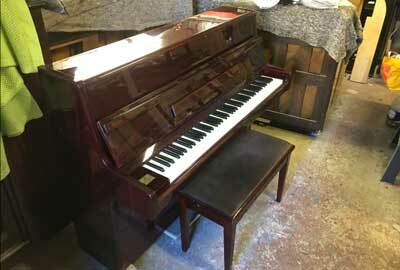 Restored Bechstein Upright in a fine mahogany case. Plays well and at concert pitch. Has been through the workshop. £400 or hire at £30 a month. Transport included in hire. Different s/h stools available: antique, singles, duet, rise and fall, cheapies. It is much cheaper to come with Peter to a piano auction. You have a wide choice and buy at trade prices. For a nominal fee, Peter will happily help you choose the right piano for you. 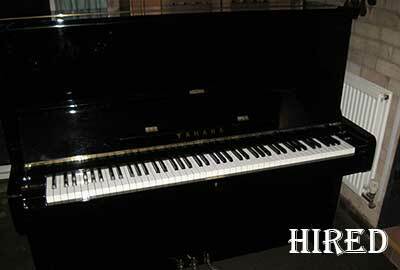 Hire a piano for a special occasion, like a wedding or a production in a village hall. Prices work out cheaper over a longer period because of transport costs.